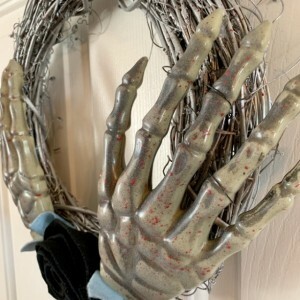 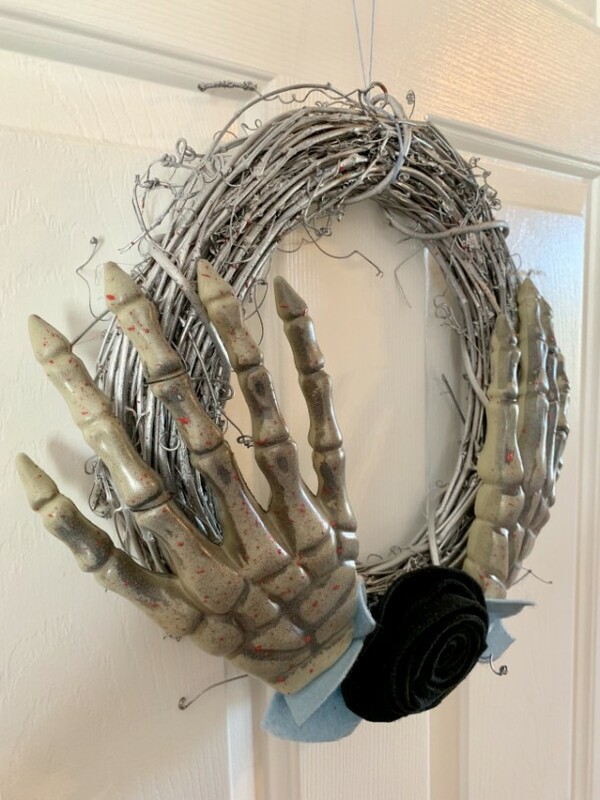 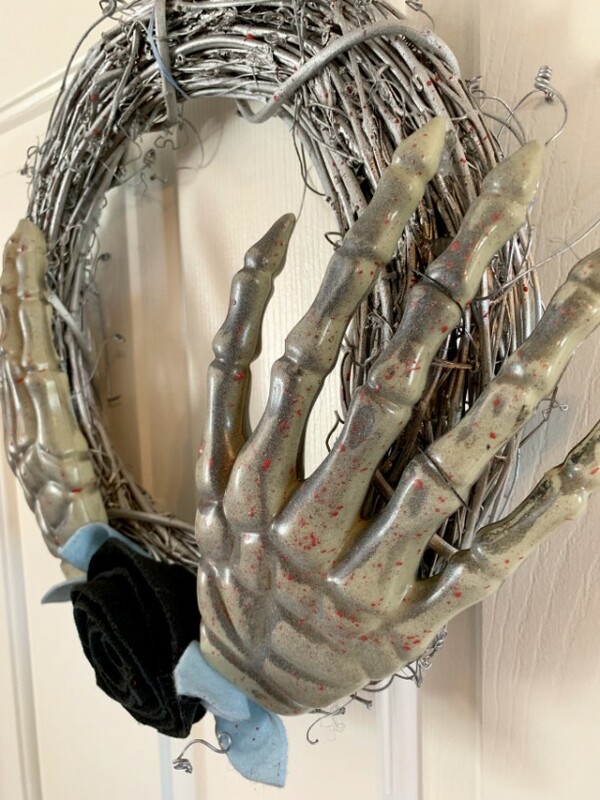 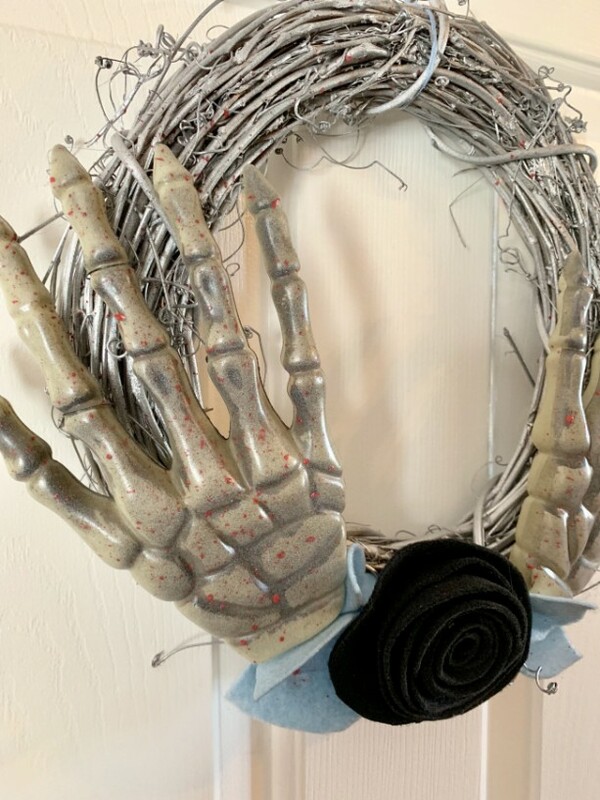 Spooktacular lovely Halloween wreath featuring a duo of skeleton hands and a beautiful handmade black felt rose! 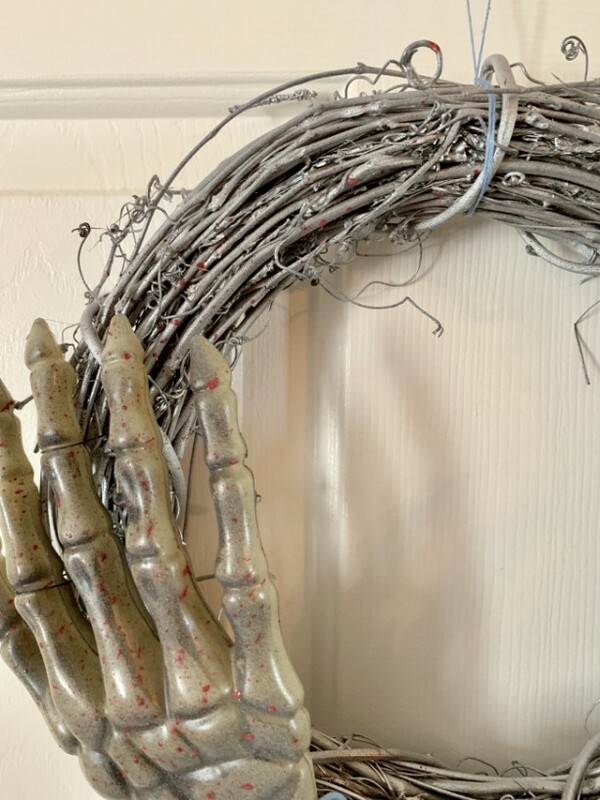 This gorgeous grapevine style is a wonderfully beautiful way to decorate your front door for trick-or-treaters and seasonal guests. 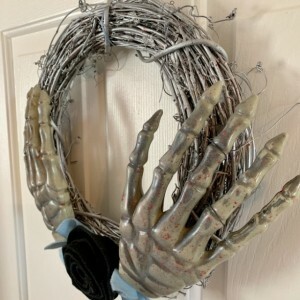 Wreath measures 12 inches finished, and is painted a glistening silver. 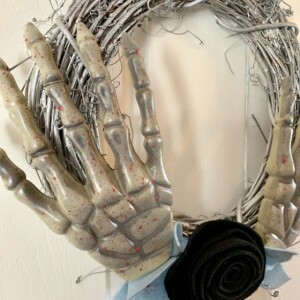 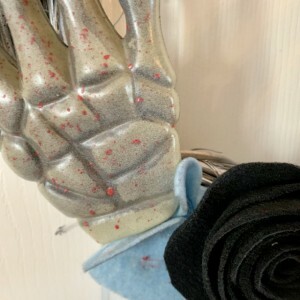 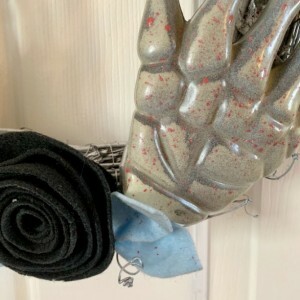 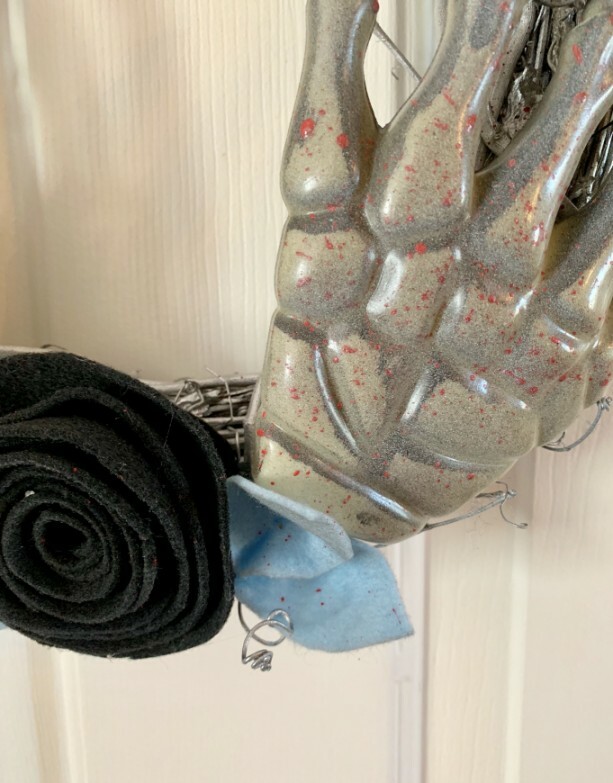 Two upcycled skeleton hands are attached to the bottom and splattered with black and blood red. 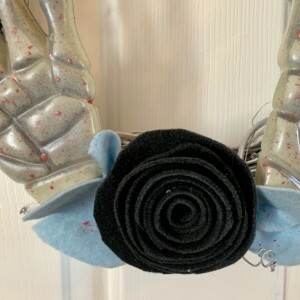 A nice array of a large handmade felt flower in black with blue-grey felt leaves. 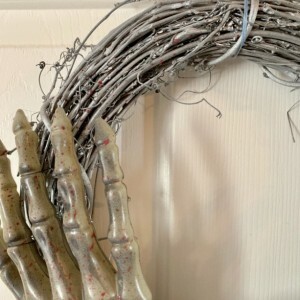 A simple tie of coordinating thread attached to the top for ease of hanging, or simply hang on a wreath hook. 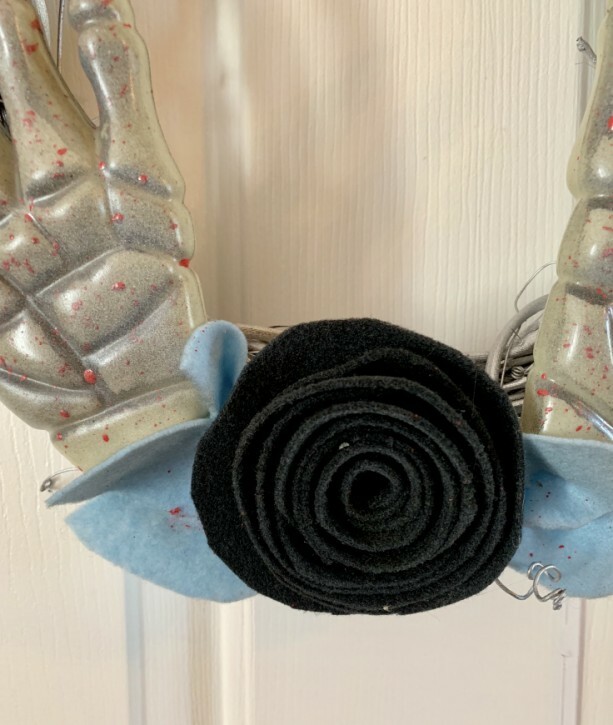 A perfect size and fit for anywhere, works wonderfully on a front door under cover or between main and storm doors. 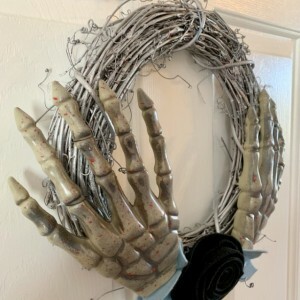 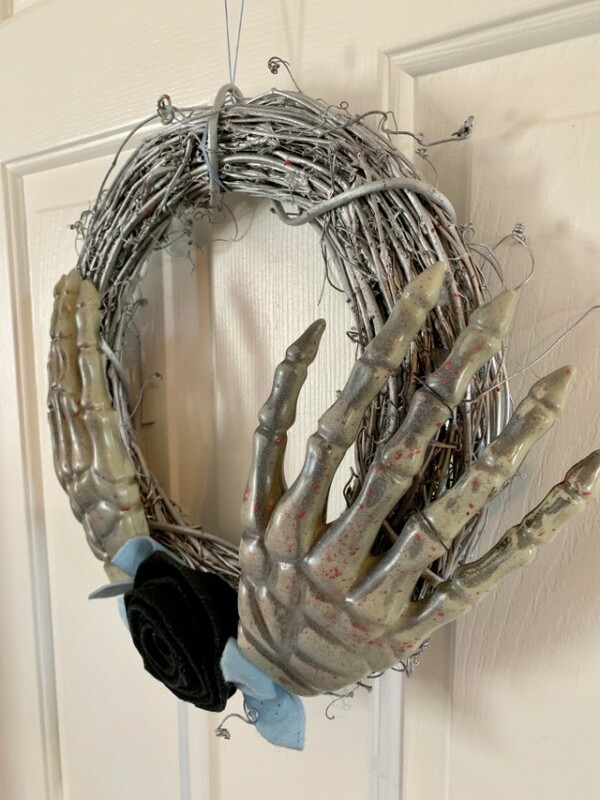 Would make an awesome gift or addition to Halloween party decor! 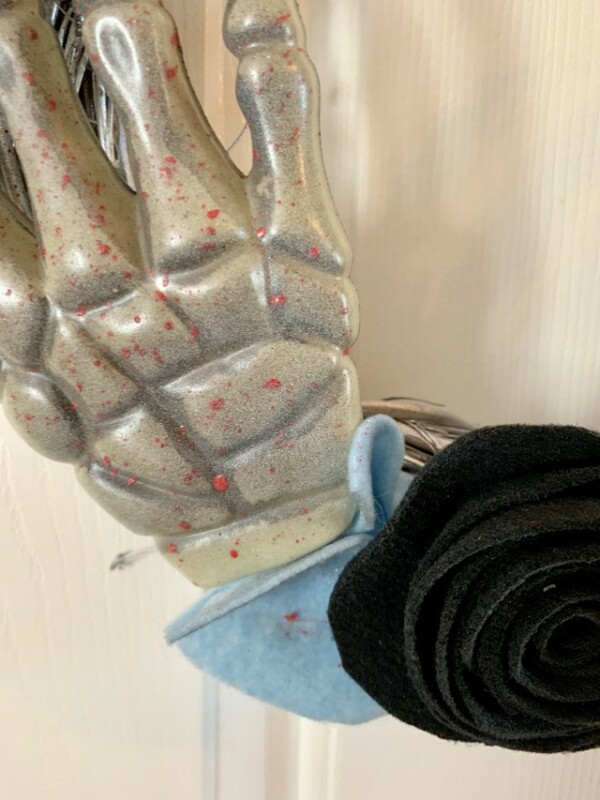 All items are packaged carefully using reused and reusable materials, to insure an economic and earth-friendly trip from my home to yours!